Although the greatest event of the 21st century for Rock fans might be the reformation of Led Zeppelin with Robert Plant, Jimmy Page, John Paul Jones and John Bonham’s son Jason, all you have to do is listen to Plant’s solo records to know it’s not going to happen. Sure, they played a one off concert in 20o7 honouring record company mogul Ahmet Ertegun but have you heard Plant’s album with Alison Krauss? – Don’t hold your breath for any future Baby, Baby, Baby, Baby, Baby Babying. Having said that there’s a few bits of Baby, Baby, Babying to be heard on his new album Carry Fire although it’s more in a Folk/World style. What I notice most about this is Plant’s vocal calmness, his singing is mellow and often elegantly expressed. You can see why he doesn’t want to screech through any old Led Zeppelin songs. Still, reminiscences of his famous past can be heard throughout the album. He has a creative band. The Sensational Space Shifters are multi instrumentalists featuring main guitarists ex Cast member Liam Tyson and Justin Adams who has worked with African desert band Tinariwen, Eno and Sinéad O’Connor and adds an interesting contrast to Tyson’s more traditional history. It’s a pleasure to hear Adams play the oud on the title track but both guitarists create tuneful, sensitive tones and atmospheres on the record. The album was mainly written by the band as a whole and you can hear it in the compositions, one exception is an interpretation of Rockabilly singer/guitarist Ersel Hickey’s song, Bluebirds Over The Mountain, that features a guest performance from Chrissie Hynde. The other band members are essentially John Baggot on keyboards, Billy Fuller on bass and Dave Smith on drums, Seth Lakeman also appears on violin with Redi Hasa on cello – Richard Ashton plays drums on Bluebirds Over The Mountain. 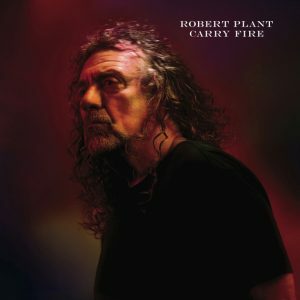 Produced by Robert Plant, there’s a lot of tracks that I like here and it’s not just interesting guitar sounds with Plant’s unmistakable vocal but more the moody and rather cosy sounds throughout. There’s many tracks to pick out for attention, loving and political, although my favourite song from the album might be the final track, Heaven Sent. Having heard the album ten times I’d rather not do some songs a disservice by mentioning others – listen for yourself, at least 10 times, isn’t that how we used to do it? After a week of sessions and studio this has been my first chance to write since Halloween and the end of the ‘Death theme’ and I intend to try and listen to and write about contemporary records by all kinds of artists up to Christmas. This is the season where a lot of new albums are released and frankly it’s hard to keep up, although I try. Last comment is more about Jimmy Page than Robert Plant and that is, I wish Page could find another creative vocal partner to work with because as a guitarist with ideas for songs he was second to none. This is not a real video, it’s a lyric video as taster for those that might like to hear the new album in its entirety after this small prompting and yes it is on Spotify but go and buy it – I did.